Your company will be exhibiting at RAPID + TCT, what is it that makes this an important event for your company? As a global leader in desktop 3D printing, Ultimaker has always valued the RAPID + TCT conference as it brings together many of our partners, resellers and customers, and other industry experts, for great discussions around the state of additive manufacturing. We use our time at RAPID + TCT to teach those who may not be familiar with Ultimaker about how our desktop 3D printers and integrated solutions can reduce costs and increase efficiencies across numerous industries. We also recognize that many of our professional users and business partners will be attending the conference, and we look forward to discussing the impact 3D printing has on their respective industries--manufacturing and design, medical, automotive, and beyond--and how the evolution of the desktop 3D printer has introduced a whole new level of accessibility, reliability and efficiency to their workflows. Ultimaker will have its printers on display and will offer product demonstrations throughout our time on the exhibitor floor. 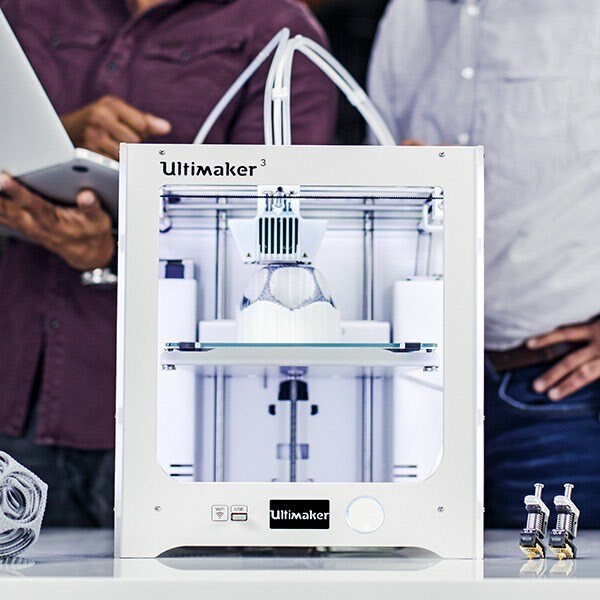 Ultimaker is committed to offering a complete 3D printing solution for our professional user base, from hardware to software and materials, and we’ll use this opportunity to demonstrate our latest technology. While we are not presenting a talk at this year’s conference, we will have several representatives from Ultimaker at our booth to speak to how we see Ultimaker contributing to the rise of additive manufacturing through our reliable and efficient desktop printers and suite of integrated solutions. We look forward to seeing everyone at Booth #410 and demonstrating what’s new with Ultimaker! We have a few exciting announcements up our sleeves that we can’t wait to reveal later this month! We are excited to meet with our customers, partners, resellers and peers to discuss the industry trends we’ve seen in the past year. RAPID + TCT is one of top additive manufacturing events in the world, so it serves as an educational and networking opportunity for us. We are able to see what others in the space are doing to improve the technology and the new ways 3D printing is being applied to a variety of verticals--the bar gets higher and higher every year. We are also particularly interested to see any new innovations in the materials landscape. RAPID has many educational sessions & Demo’s, is your company involved in any of them this year? No, Ultimaker will not be involved with any educational sessions or demos through RAPID + TCT, but we will be doing demos at our booth throughout the conference! RAPID + TCT is a great forum to educate attendees on the latest additive manufacturing technologies and discuss the opportunities 3D printing can create for a business or institution when it is used to its full potential. We look forward to reconnecting with existing customers, resellers and partners, as well as building new relationships for future partnerships and innovations.